Enriches your needs for clean and refreshing shower! While your shower water may look clean, it may contain potentially harmful contaminants picked up on its journey through aging pipes. 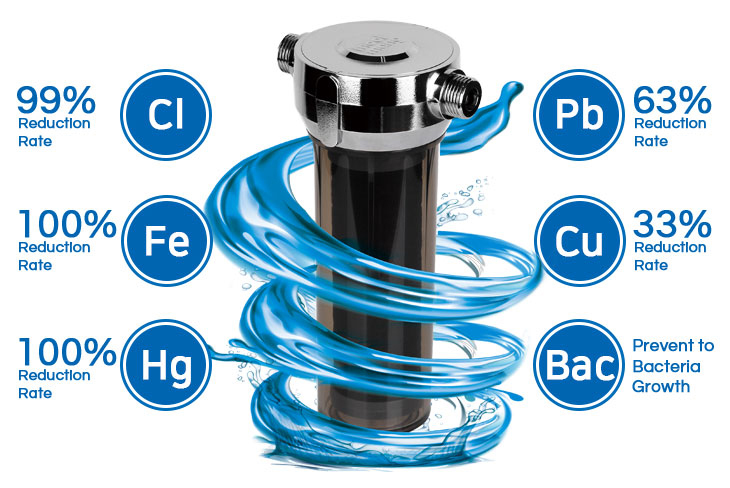 This shower filtration system reduce these contaminants and residual chlorine as well. 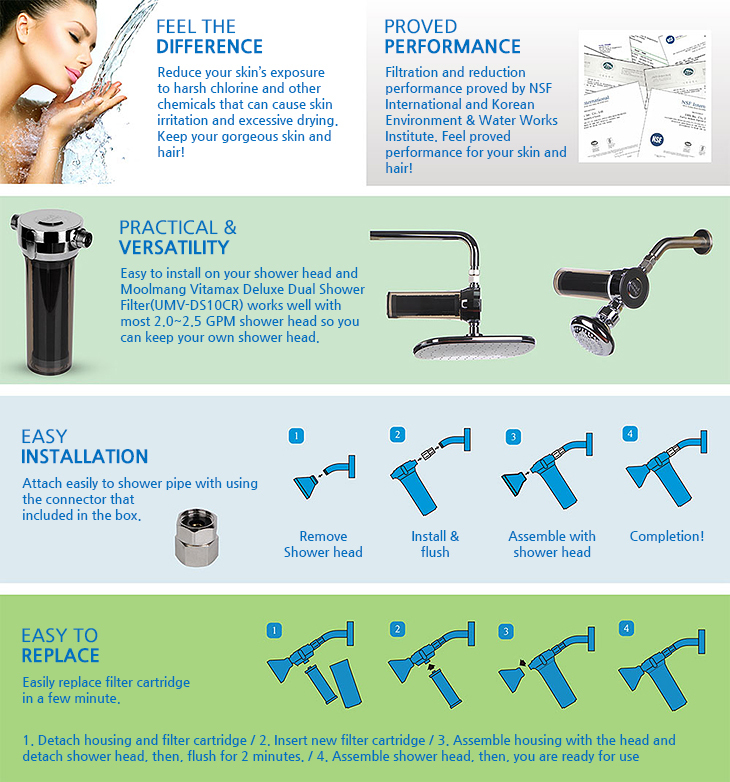 This shower filter is the first Korean shower filtration system that has been Tested and Certified against NSF/ANSI 177 for the reduction of Free Available Chlorine and NSF/ANSI 372 for the Low Lead Content Verification from NSF International and there are only 8 companies that NSF certified for shower filtration system in the world including us. Also, this shower filter tested for the reduction rate of residual chlorine(99%), Iron (100%), Mercury (100%), Lead (63%), Copper(33%) and prevent germ growth by Korean Environment & Water Works Institute. Moolmang Filter Technology is our commitment to provide better water for shower. 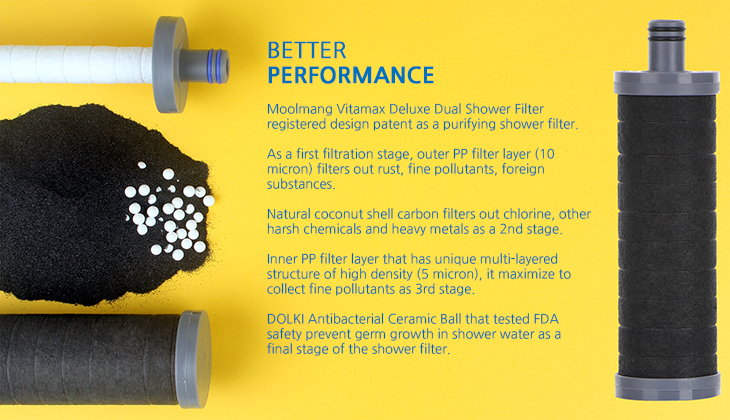 Using dual PP filter, activated carbon and DOLKI anti-bacterial ceramic ball, our shower filter tested to reduce more contaminants than any other brand. # This test result may vary depending on local water quality and test condition.